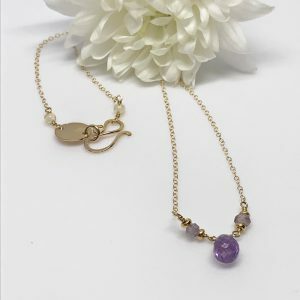 Delicate hearts together as one in this gold heart charm necklace…so feminine and oh so sweet. 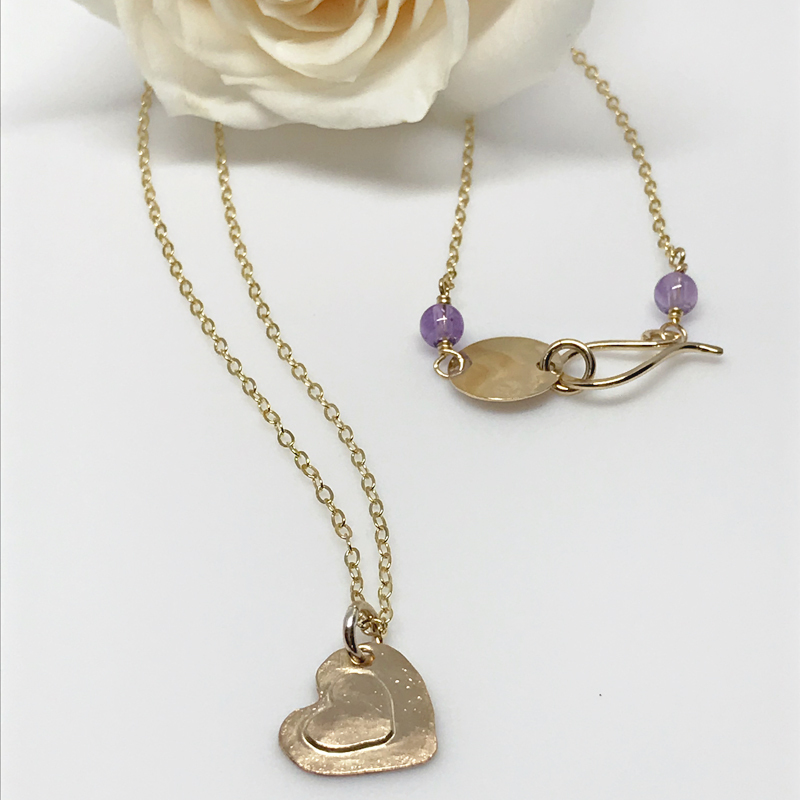 Doesn't get much sweeter than this dainty heart pendant necklace. "We carry the hearts of those we love forever in our hearts". That's what this delightful charm necklace represents. Solid gold filled heart charm necklace. Two hand crafted hearts, together as one in this charm pendant. Each heart is hand cut and textured from gold filled metal. Each heart will have slight variances making each one unlike another. 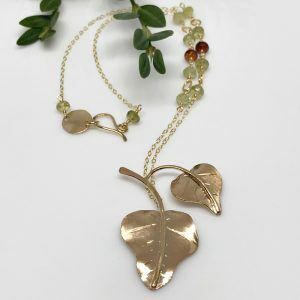 Equally delightful is the delicate gold chain that the heart hangs from. The clasp is also hand crafted. Both clasp and chain are gold filled too. 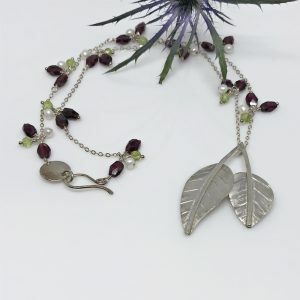 The chain is adorned with amethyst gemstones. Amethyst is the birthstone for February. Perfect for a February birthday and Valentine’s Day. 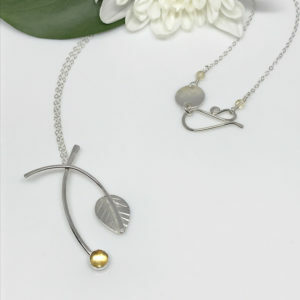 Both silver and gold necklaces are 18 inches long.